Find a AAmerica retail store in your local area using our dealer locator. 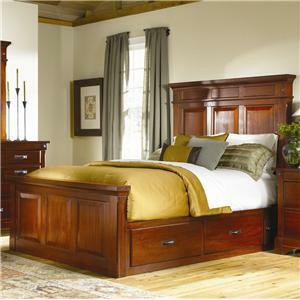 Add ample storage space to your guest or master bedroom with this eight drawer dresser and Mantel Mirror from the Kalispell Collection. 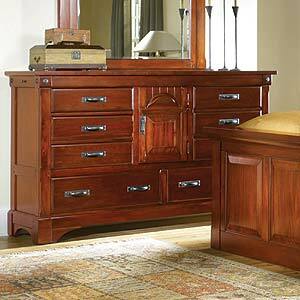 Two secret side compartments and a center door create a unique look with added functionality. 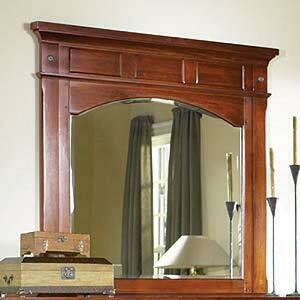 The mirror features a beautiful wood frame, and creates the appearance of a larger room. 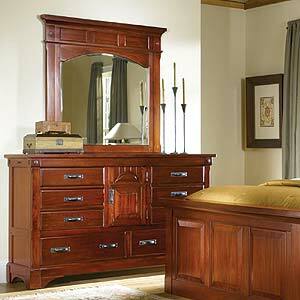 The Kalispell 8 Drawer Dresser and Mantel Mirror by AAmerica is available in the area from FMG - Local Home Furnishing. 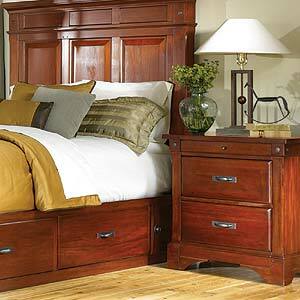 KAL-RM-5-50-0 Dresser with Secret Compartments 1 68.25" 20" 40"
KAL-RM-5-55-0 Mantel Mirror 1 47.5" 46.25"
The Kalispell Collection features the natural beauty of solid mahogany wood grain through a rich glowing finish for a “Rustic Lodge” lifestyle with elevated design and elegance. Raised and recessed panels, pegs, and hand carving bring uniqueness to this well loved style, along with forged rustic metal knobs and hand pulls pendant pulls with textured back plates in gunmetal with copper speckles. 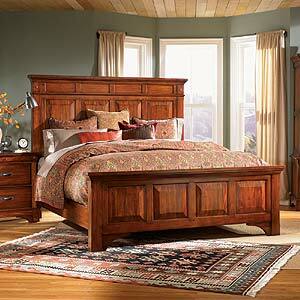 The Kalispell collection is a great option if you are looking for Traditional furniture in the area. Handles & Hardware Forged rustic metal knobs, hand pulls pendant pulls with textured back plates in gunmetal with copper speckles. 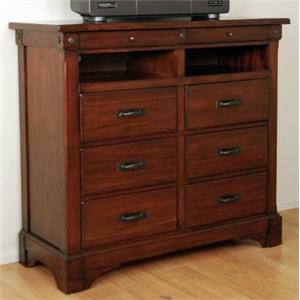 Drawer / Shelf Construction Drawers are dovetailed and feature ball bearing glides. Dust proof cases. 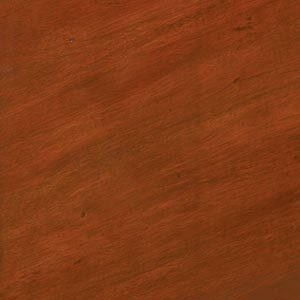 Case Construction The Kalispel Collection features the natural beauty of solid mahogany wood grain through a rich glowing finish. 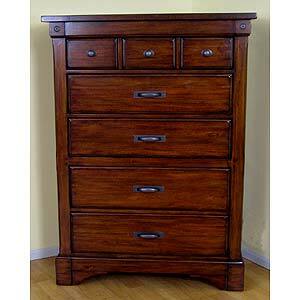 Browse other items in the Kalispell collection from FMG - Local Home Furnishing in the area.